It seems that there has been something of a slight uptick in media attention paid to people who believe that the Earth is flat. The number of people who believe in a flat earth is growing. 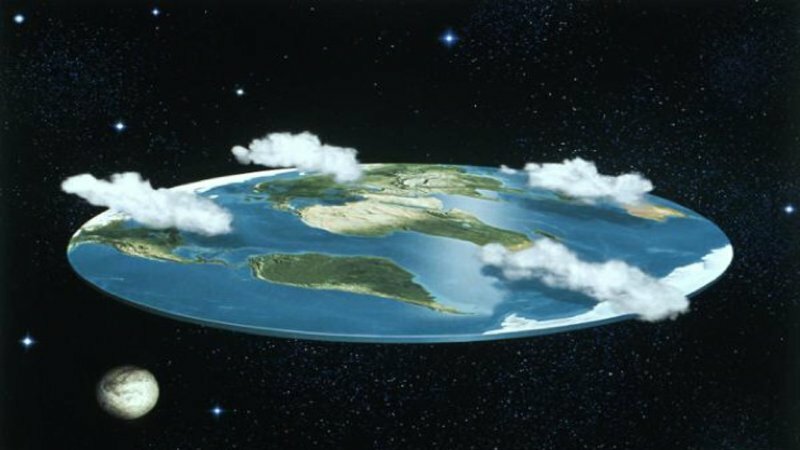 Some celebrities have endorsed the idea that the world is flat or claimed uncertainty. It doesn't matter to such folk that science, logic, and observation have conclusively shown that the world is round. Flat earthers remain unconvinced by such proofs. People are free to believe whatever they like. The problem with believing such a ridiculous notion as a flat earth is that the flat earther is going to be more open to all sorts of nonsense. One minute you're stating that you have scientific evidence that the world is flat because you took a level on a airplane flight, the next you're claiming that the Atlantic Slave trade and American slavery never took place. It's not so much just that believing in a flat-earth is wrong, but that deliberately ignoring science and data is wrong. I'm not claiming that science always leads you to the proper moral or factual point of view. It doesn't. For example, we probably agree, to a lesser or greater extent, that men and women have differences. That's biology. That's science. That, for some grudging, baseline agreement has little to do with whether we think a given society's gender roles are correct or just. I am saying that believing in a flat earth has a domino effect that leads to the dismissal of more and more science, math, and facts. The flat earther must throw away his reasoning ability in order to hold on to an incorrect conclusion. A political system with dumb voters will have trouble sustaining itself. We may be seeing the outcome of that mindset right now. The same people who claim that the earth is flat are never able to take anyone to the edge of the earth. Not every belief is worthy of respect. Watch the below video in which a Maine meteorologist takes five minutes to debunk the flat earth theory.